Online quiz has become a nifty source for not only marketing researchers but also for all categories of people. It is feasible because anyone can make verdict easily regarding any issue after conducting a quiz. Whether in the preceding time, it was quite tough task to arrange a quiz as individuals had to considered myriads of things. However, for the boon of internet, it has become easiest work. In this article, I will show you how to create a quiz by using WordPress form builder plugin. But for the better understand, I have divided the rest part of this article into three segments where, first I will show you how to create a simple quiz design. After that, I will discuss about some advanced fields and features of the WP Fluent Form plugin that will navigate you to create an advanced design for quiz. Below, I have created an index that will teach you step by step. To create quizzes, Polls, survey or other forms, first of all you will have to install a WordPress form builder plugin in your WordPress. For this purpose, I have installed WP Fluent Form in my WordPress. I use this WordPress form builder plugin because a lot of features are available in its free version as well as you can get a lot of documentations that can guide you to create any form. You can create various type of quizzes. Amid all of quiz styles, multiple choice question based quizzes are the most famous. After installing the WP Fluent Form plugin on the WordPress, Click on “Fluent Form” button and a new panel will appear on the screen. Now, click on the “New Form” and then a new dashboard will appear on the screen. You can see three ready forms’ structures are available there. You can see the “Create” button which is just the underneath on the dashboard same as the picture. For creating a quiz, you may select several fields. 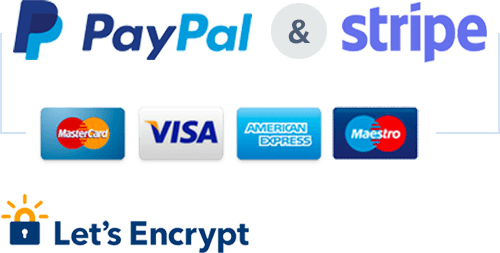 For example, you can use Name field, email field, radio button, simple text area, Dropdown field, the checkbox for a basic quiz form. Moreover, you can also use advanced fields and containers for creating a complex form design. You can set the name of the quiz from the “New Blank Form” box that is top of the left-hand side. Suppose, you want to create a quiz where you would like to put a set of “Multiple-choice” and “Write the answer below” type questions. In that case, first, click on the “Radio button” from the “General Field” and it will reach in the dashboard automatically. In the “Radio button” field, you can see a lot of options are available in the right panel of the dashboard. You can customize question from the “Input Customization” field. Suppose, you want to make a question that is “Blogging goals should be-”and you want to set four options as the answer. In that case, write your question on the “element Label”. And put the answers in the “Options” panel. In this way, you can create a single line quiz form easily as below picture. You can also use other fields for bringing some variations on the quiz. For example, someone may want to create a quiz where he wants to set several “Multiple-choice” and “Box type” questions where participants will write down their answers in the boxes. After that, you can edit the field and write your required question on the “Element label”. Moreover, you can make the quiz more engaging by using other fields from WP Fluent Form such as “Checkbox” or “Dropdown” button. For example, you want to establish a question on the quiz where the right answer would be more than one. So, in that case, you can “Checkbox”. In the same way, if you wish to set any question which answers’ would be “Yes” or “Not”, you can deploy “Dropdown” field on the dashboard. However, you can make the whole quiz by using any particular field, or you can make a custom quiz form where different areas might be used. Suppose, you want to create a quiz form where all questions will be exhibited in two columns. In that case, you can use “Container”. You can even set all the questions in three columns using containers and WP Fluent Form offers this option in its plugin. Now, let’s see how to create a quiz form by using columns. To create a multiple lines quiz form, click on the “Two column” option from the “Container”. However, you can also use “Three Column” if you want to create a three column-based quiz. But, in this content, I will create a quiz using two columns. So, after clicking on the “Two Column”, it will go to the dashboard, and from there you can create a structure for the quiz. I will guide you step by step. You can see two add button (+) signs in both left and right sides. You can maintain the sequence by starting to create the question from the left side. In that case, I am going to write question for a quiz from the left side, and I will maintain the numbering sequence from top to bottom. Now, click on the add (+) button and you will see another option will appear on the screen. You can select your required fields from the box. Suppose, you want to use the “Dropdown” button for the first question. In that case, click on the “Dropdown” button, and it will set on the left column automatically. After that, you can customize the field as my shared screenshots. You can create the whole quiz by using various fields. Moreover, you can write the next question just under the “Dropdown” button. In that case, if you bring the cursor on the “Dropdown” box and you can see an add (+) option will appear just below of that box as the picture. If you click on the Red mark button, another box will appear on the screen from where you can select the required field for the next question. By following this method, you can create a multi column-based quiz easily. Now, let’s introduce with conditional logic. Conditional logic is very mandatory for creating any form. It is not only crucial for feedback survey form or the job application ones, but you may also encounter its necessity in every almost every kind of forms. Conditional logic can help you figure out actual answers from the participants. Suppose, you want to ask a question on the quiz by using “Dropdown” button. But it is also crucial to know the actual logic behind the participants’ answer. In that case, you can use conditional logic easily. To use the conditional logic, first of all, you have to create the main question where you want to add the condition. For example, I want to ask the previous question here again that “which marketing ways do you think best”? And I want to keep two answers “Online Marketing” and “Offline Marketing” on the “Dropdown” field. So, click on the “Dropdown”box from the “General field” panel and after that, write down your question on the “element label” box. Then, write down those answers on the options as the image. After that, again click on the “simple text” field and it will go just below of the “Dropdown” button. After that, you can customize it according to your requirement. Now, if you click on the “Advanced Option”, some advanced level options will appear on the screen and from there, you can select conditional logic for the quiz form. And after that, you have to set the logic from the three boxes which are on the bottom edge of the panel. Suppose, you want to know the reasons separately for “Online Marketing” and “Offline Marketing”. 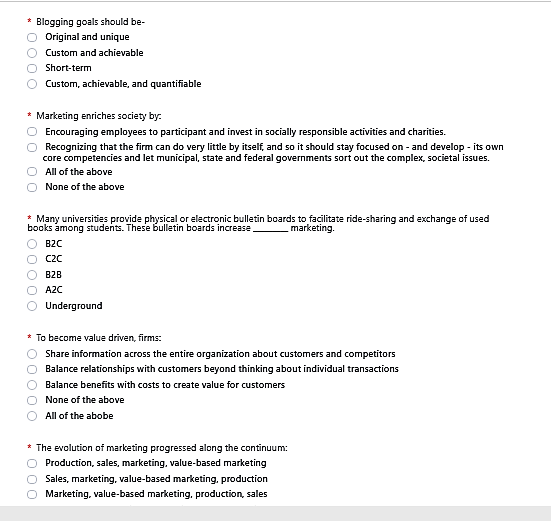 In that case, first select option for the “Online Marketing” answer. You have to select logic individually for the answer “Online Marketing” and “Offline Marketing”. After that, you can check by clicking on the “Preview”button either does it work as your requirement or not. Another nifty feature of WP Fluent Form is you can make multiple pages quiz form using the “Form Step” functionality. If you need to create a long quiz form, then you can use it. People always avoid marketing tasks such as phone call, text messages and emails. So, if you can create an exciting quiz, you can get the best output surely. So, in that case, if you can make a customer engaging form, you may get the top-notch outcome. The process is quite simple too. To use the “Form Step” field in the quiz, first of all, click on the “Advanced Options” and then a new panel will appear on the screen. You can see there “Form Step” button as the image. Simply drag it from the “Advanced” panel and drop it on the preferred place from where you want to start a new page. After that, you can check its output appearance by clicking on the preview button, and it will exhibit it like the picture. From there, you can realize how does it look. This is the effective way to create a basic quiz form using fluent form. However, Fluent form WordPress plugin offers a lot of verity fields in the free version. So, you can create outstanding design for the quiz by exhausting those fields. Obviously, you can use other WordPress plugins for making an online quiz. But, Fluent Form WordPress Plugin has seemed like a nifty form builder as it offers a lot of field in the free version. Whereas if other available form builder plugins usually do not provide as many fields in the free version to customize a form.